Guys, I have to tell you that I’ve fallen in love with another venue! 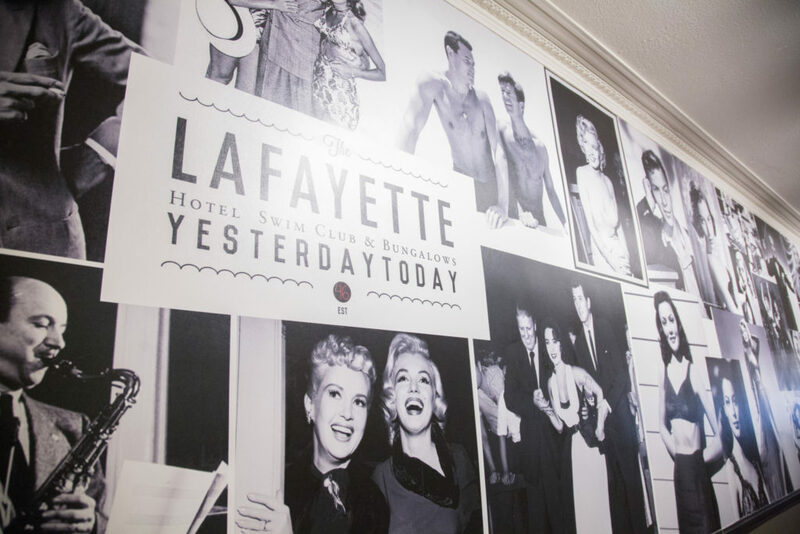 Funny enough, I used to live just down the street from The Lafayette for several years and didn’t realize it was a fantastic wedding venue until just about two years ago. Now, it’s definitely one of my favorites in San Diego. 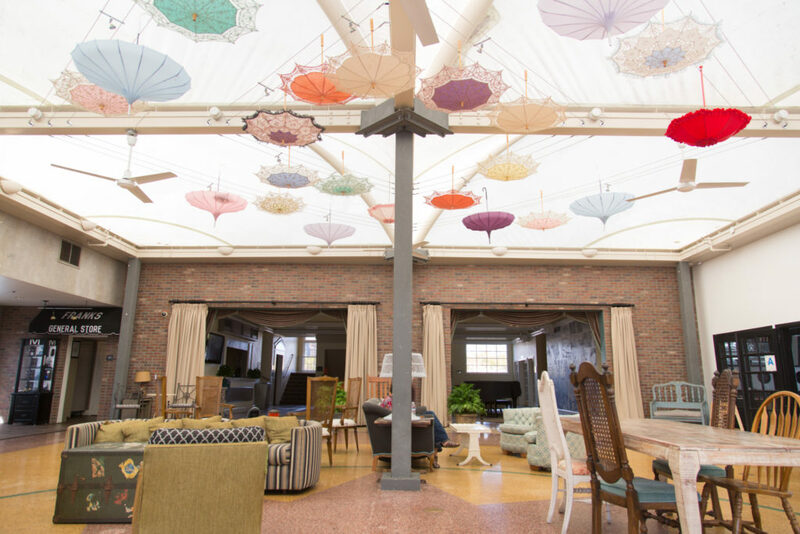 Located in the heart of the trendy University Heights neighborhood, The Lafayette promises to bring nostalgia and character to your wedding. 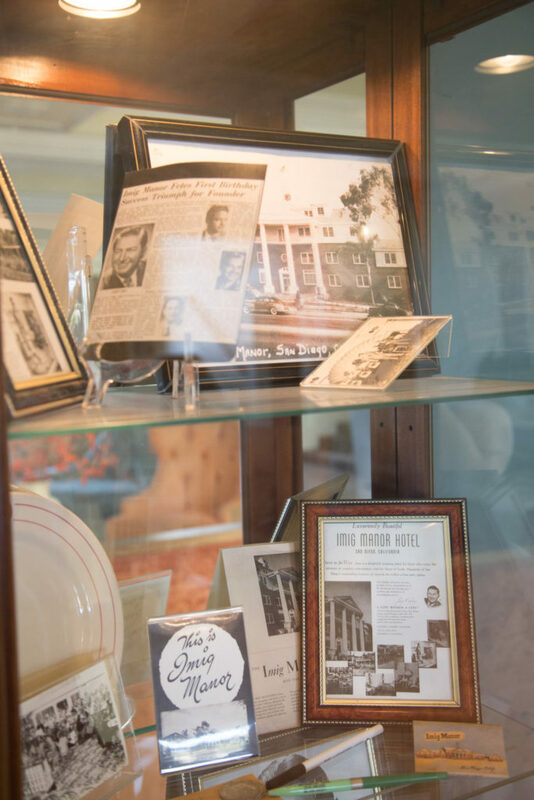 The hotel was built in 1946 and has a rich history. 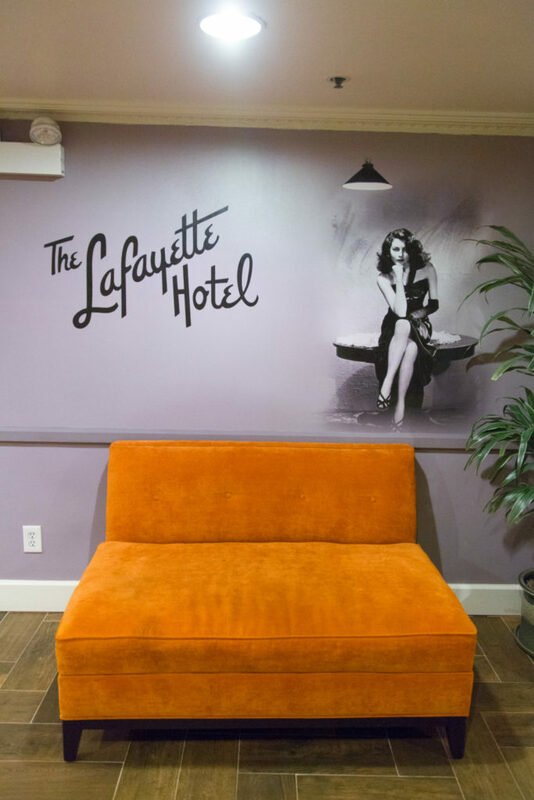 In its early years, it was a hot spot for Hollywood royalty like Bob Hope and Ava Gardner. Today it feels like a fun and luxurious trip to the past for couples looking for an Old-Hollywood-Inspired wedding day. 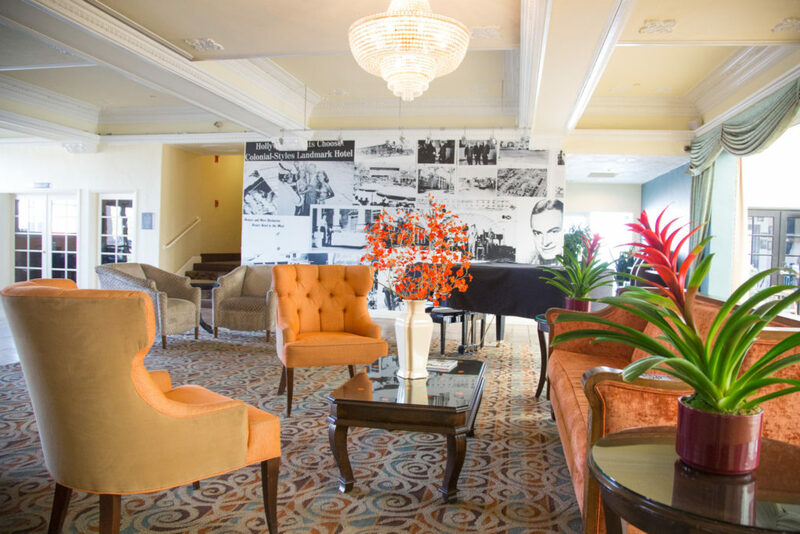 When you enter the front door the first thing you see is a beautiful lobby decorated with vintage furniture. 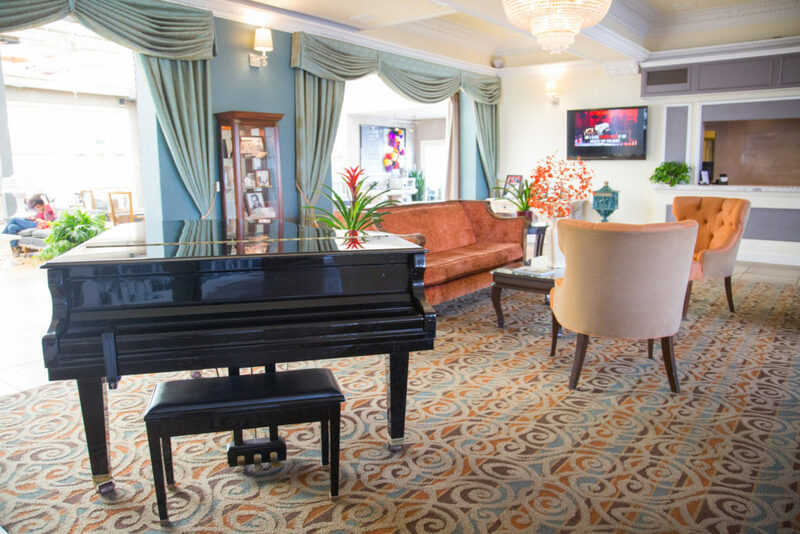 Imagine with me how beautiful your couple portraits will be in this lobby and what we can do with that fabulous piano! A few steps further and you will find this gorgeous and unique ceremony space. 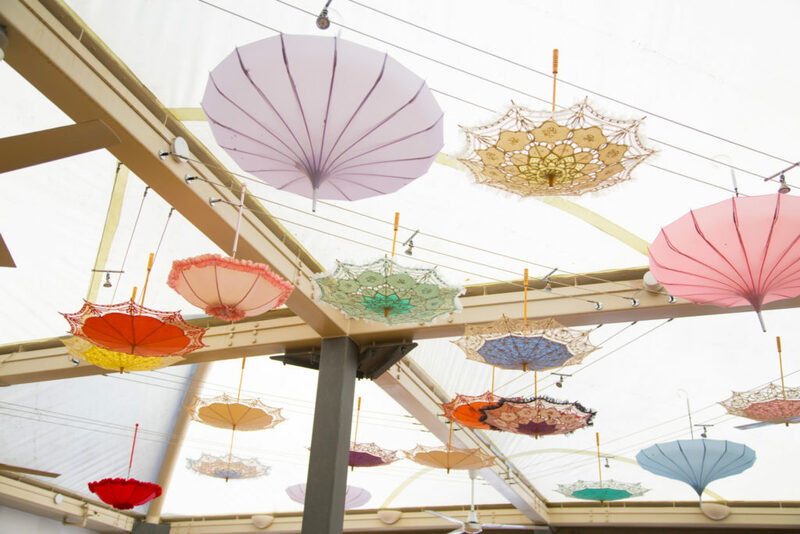 The natural light coming through the umbrella ceiling in the Conservatory is amazing for photography (assuming your ceremony takes place while there is daylight). The vintage furniture in the space can be arranged for ceremony seating. 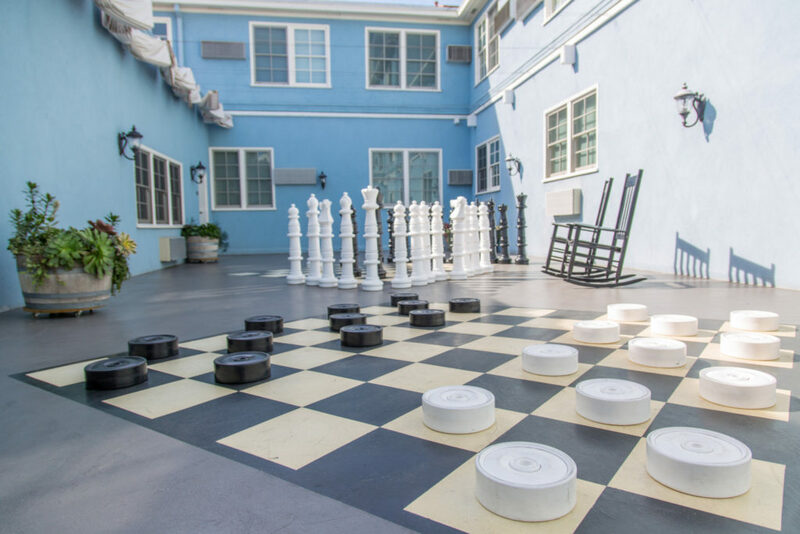 Your cocktail hour will be tons of fun in the West Courtyard with life size chess and checker games! Not to mention the adorable details throughout the hotel space. 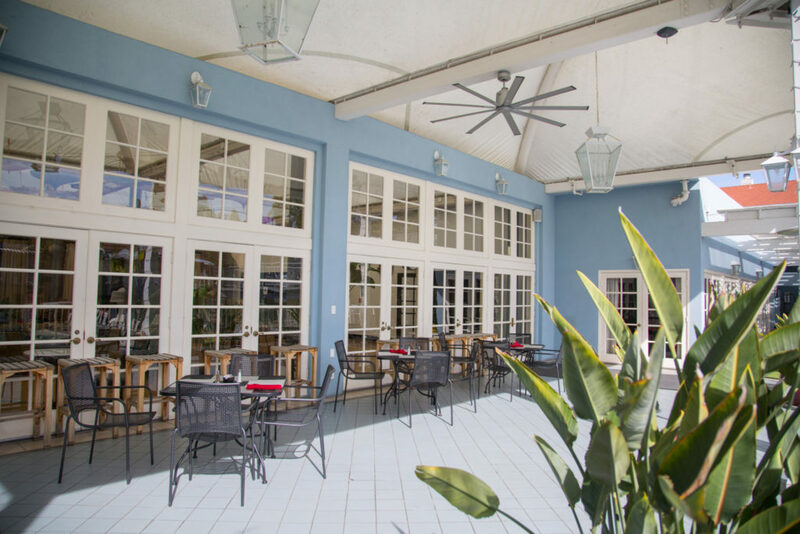 For those guests who are staying at the hotel, the back patio and pool are big social hot-spots. The Weissmuller Pool is an attraction all on its own! 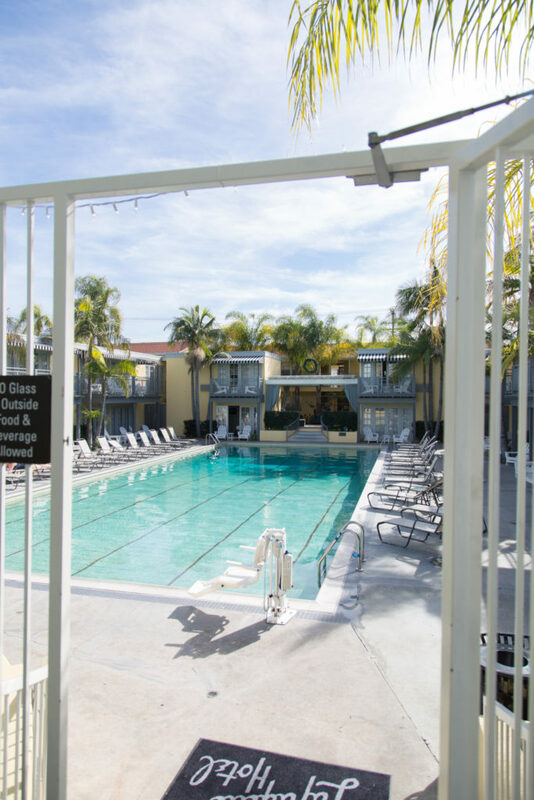 The pool was designed by Johnny Weissmuller – a 5 time gold medalist and former Tarzan actor. Today it’s favorite destination for locals during hot summer days. 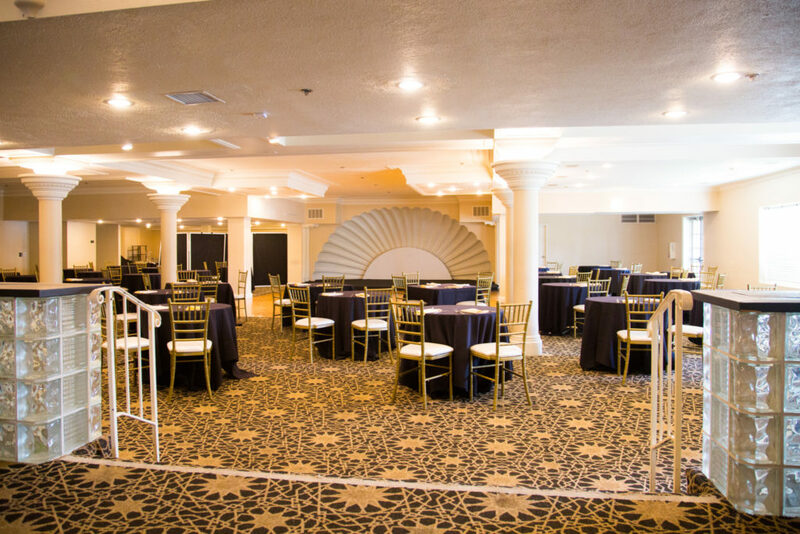 And last but not least, your reception will be a blast in the Mississippi Room. This vintage ballroom feels much like a speakeasy with it’s low ceilings, glass detail and even a seashell stage. Some practical information for you: The hotel offers a complimentary night stay for couples in one of their bridal suites the night of the wedding. The ceremony space will host up to 200 guests, and the Mississippi Room will host 300. Parking can be a little difficult in the neighborhood. The hotel has two surface parking lots that are first-come first-served. Encourage your guests to use Lyft or public transportation when possible. I’ve purposely shown you images of this great venue without events happening. I want you to be able to imagine this space for your own unique event experience. 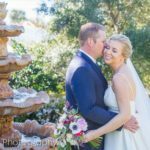 But there are so many great materials here to work with that I’m sure you will find it fun and exciting to plan your wedding here. And I will be so excited to capture it for you!